RARE CABIN BORDERING CUSTER STATE PARK ~ ABSOLUTE SECLUSION AND SERENITY!! 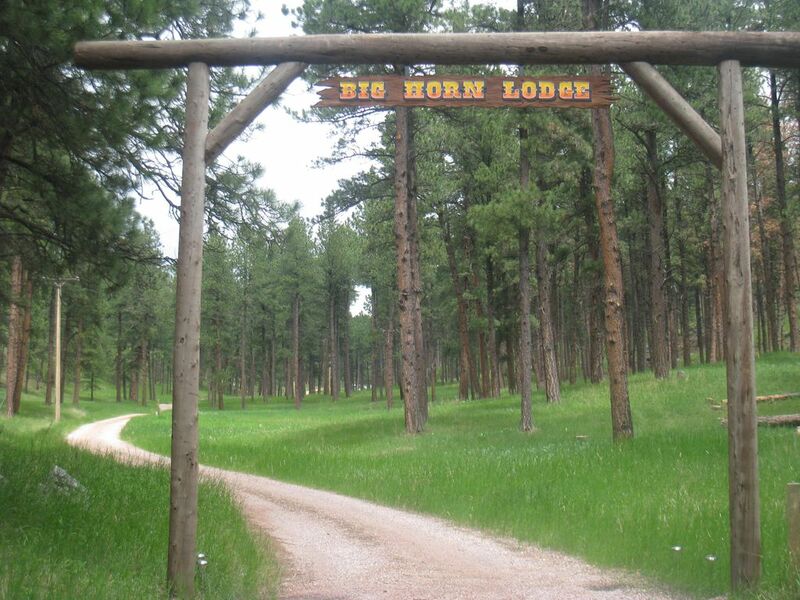 Have you dreamed of wilderness seclusion and serenity in a RARE LOCATION IN THE BLACK HILLS? Do you long to gaze upon buffalo, elk, deer, wild turkey, and other wildlife? Then perhaps this home of rustic elegance, bordered on 3 sides by Custer State Park and National Forest, could be your ideal vacation. Experience a true wilderness environment as there are NO OTHER HOMES within a quarter + mile. Relax on the deck or patio and absorb the scent of pine, feel subtle forest breezes, and view wildlife in their natural habitat. Gaze upon brilliant stars during quiet and calm evenings. Our guests say that pictures do not do the home and environment justice. Our home is set on a scenic meadow completely surrounded by thousands of acres of Custer State Park and National Forest. No highway noise, nothing but forest, scenery and wildlife around you. Stroll across the meadow or set off by foot into Custer State Park or National Forest wilderness. Excellent road and driveway conditions with easy access provide for a stress free location. Roomy two car garage for your vehicles. The home is located just 7 miles southeast of Custer, South Dakota only minutes away from Mt. Rushmore, Crazy Horse Monument, Needles Highway, Sylvan Lake, 1880 Train, Black Hills Playhouse, Biking, Boating, Childrens Playground, Fishing, Golf, Hiking, Horse Riding, Hunting and Rock Climbing, Mountain Biking, Restaurants, Shopping, Skiing, Tennis, Theatre, Theme Park, WaterSkiing, Water Sports and Rental, Zoo/Wildlife Park, Cave exploring, wildlife viewing. NOTE: Everything from a blender, baking pans, teapot, toaster, griddle, crockpot, etc. to a wine bottle opener is available. Coffee, salt and pepper are provided. Hair dryers in both bathrooms. Our home is complete with all the utensils you will need for a wonderful cooking experience. All linens, dish soap, hand soap, laundry soap, kleenex, paper towels, and more are provided. We pride ourselves on making our home your home!No Pets, No Smoking, Telephone NOT provided as the cabin gets excellent cell phone reception, children age 12 and over welcome if well behaved and under constant supervision, must be age 25 or older to rent. Only "paying" guests occupy the home and premises in order to maintain the quality of our home. Failure to do this will result in a forfeiture of the security deposit. We will rent to responsible adults who would care for and appreciate our home. This is our second home and pride and joy. Our wish is that all guests will treat it as if it was their own. Our greatest reward is providing guests with a memorable Black Hills vacation. We have sincerely attempted to create a “home away from home”. Perfect for a Family Get Together, Corporate Retreats, Base Camp on Vacation, Hunters, etc! Owners: Scott and Sherry Nelson. My husband and I have been married for 41 years. Now, as empty nesters, we enjoy the freedom to head for the Black Hills and enjoy the peace and serenity our new home has to offer. It also provides us with memorable family gatherings with our grandchildren. My husband and I decided to purchase the Custer home because it is bordered on three sides by Custer State Park and national forest. We enjoy hiking and now can explore thousands of acres of wilderness just a few steps from the front door. We also enjoy riding horses in the Black Hills. The pasture borders Custer State Park. We can enjoy hours of riding in the Park and never take the same trail. When visiting our home, we hope it will be immediately evident the pride and joy we wish to share with our guests. We take suggestions from our guests very seriously and attempt to make our home as comfortable and convenient as possible. Our home borders Custer State Park, so guests enjoy visiting the park and all it has to offer. We are just minutes from the town of Custer, Crazy Horse Memorial, Mt. Rushmore, Sylvan Lake, Wind Cave National Park, and many other popular attractions. Although we are secluded, the roads are excellent. Unique log décor electric fireplace in lower level. Living rooms on both upper and lower levels. Dishwasher liquid provided for both the dishwasher and sink. (2) Second smaller refrigerator located in lower level utility room. Also toaster and coffee pot in lower level utility room. Keurig and standard coffee maker. New kitchen quartz countertops, new stovetop and sink added fall of 2011. Six chairs at main table. Two captain chairs located at the kitchen island. (2) 46 inch TV in upper level living rooms. 40 inch TV in lower level living room. DVD attached to both TV's with many dvd movies to choose from. Several magazines and booklets regarding the history of South Dakota. Many dvd movies available to be viewed on the 46 inch TV in upper level and 32 inch TV in lower level. Beautiful views of Custer State Park and National Forest from the balcony. There are two tables and eight chairs in which to enjoy lunch and the beautiful views. Custer State Park is only yards from this spacious patio. Buffalo are often seen walking the Park fence line. There are several comfortable chairs and a bench swing to relax around the firepit and enjoy the views. Beautifully maintained, comfortable house. Totally private. Five of us visited the Black Hills July 26 - August 2, 2018. Scott (owner) was easy going and very responsive with communications, both before and during our stay. The property was clean, well kept, and well appointed, with plenty of space for all of us and just about anything we needed. It was a perfect home base for our vacation. It's close enough to all of the attractions to put just about anything you might want to do within easy reach but, at the same time, is secluded enough that you feel like you're living in your own private slice of the Black Hills, providing a peaceful retreat from the sometimes-bustling tourist areas. Isolated, but not so much that you can't easily go into town for groceries or pizza. We enjoyed a leisurely breakfast on the deck each morning, watching the deer and listening to the birds, and took some nice strolls around the place in the afternoons. We saw turkeys (including young ones) wander through the yard a couple of times, and the chipmunks provided wonderful entertainment at any hour of day. The grill was handy a couple of times, and the fire ring made for a fun family evening. A few practical things to note: (1) If you want to use the Keurig coffee maker (a nice touch), bring a supply of your own favored K-cups with you; the selection at local grocery stores is somewhat limited. (2) Despite what the property details for the listing indicate (as of this review), wifi is available (satellite). The bandwidth is pretty low, so don't expect to stream a lot (find a stream outside instead), but it's sufficient for email, messaging, checking the weather, and having Alexa do some basic tricks. (3) As advertised, there is no landline phone but the 4G cell signal is strong. (4) The owners graciously supply some firewood, and there's more to be found on the property if you feel like looking but, if it's been raining a lot recently, you may wish to buy a bundle of dry wood at a convenience store in Custer to get the fire going. All in all, we thoroughly enjoyed our stay here. It's easily one of the best VRBO rentals we've experienced and we would definitely stay here again. Hi Kevin: Thanks for your kind words. We are a little like you in that we love it there! Its always kind of a treat when nobody is using the place because that's when we get to go! Great location and cozy spacious lodge! We absolutely loved South Dakota and The Black Hills. So much to do! The cabin was nice with lots of room for the 6 of us and 2 TV areas. The kitchen was fully stocked. Plenty of towels for the bathrooms. Loved opening the windows and enjoying the breeze in the afternoons. Only cons-it was pretty warm and without a/c, it got extremely warm on some evenings, especially upstairs even with the ceiling fan and 2 fans on. Downstairs could for sure use ceiling fans in all rooms. We actually went and bought 2 more fans. The downstairs TV needs to be fixed or replaced-color is messed up. Bathrooms are very dark and shower heads were too low. Bathtubs and fixtures could be updated. Otherwise, we loved it and the area! Very private and quiet. We had a marvelous time. All the wildlife we saw on the property it was hard to leave. Last night there I saw a cat like animal that my son said was a lynx by the paw prints we saw the next morning in the driveway. The last morning packing up the car we saw a white wolf running up the hill behind the garage. Even though it rained a few days it was a great vacation. Everything was just as lovely as pictured! The location was great for vacationers who wish to get out and see all the local tourist attractions but who like to still have a home base. Very quite and secluded. The layout was good for two families. Thanks for sharing your second home with us. Rates are based on four people. $25 added for each additional person up to eight people. May 1 to September 30....$350/night (Peak Season) October 1 to April 30.....$300/night (Off Season) $130 cleaning fee Must be age 25 or older to rent our home. Children age 12+ welcomed Sturgis Rally August 3-13, 2018 @ $500.00/night based on four people. $25 added for each additional person up to eight people. For the Rally (only) we ask for 50% upon booking and the balance on January 1, 2017. Upon booking a rental agreement will be sent. For all other rentals we ask for 25% down at time of booking and the balance paid 30 days prior to check in. All guests may either send a personal check or book online. A rental agreement will be sent. Check in time is 4:00 p.m. Mountain Time. Check out time is 10:00 a.m. Mountain Time This home is our pride & joy and we will rent to responsible adults who would care for and appreciate it. Only paying guests occupy the home and premises in order to maintain the quality of our home. Failure to do this will result in a forfeiture of the security deposit.